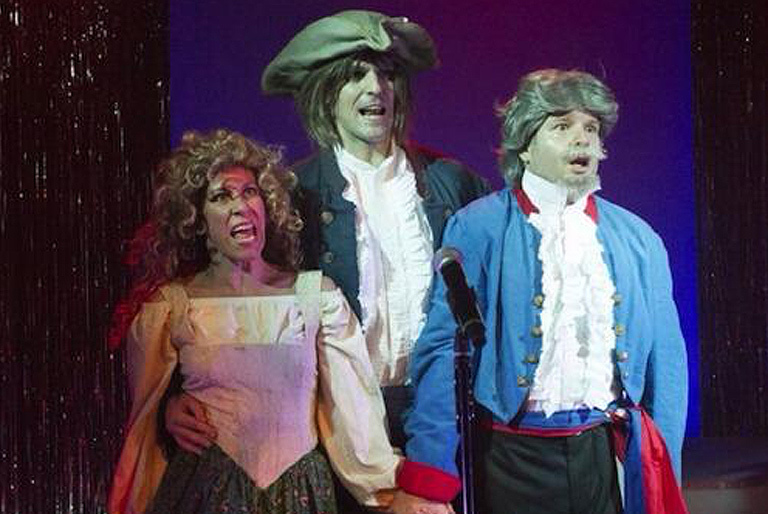 Think you have seen every West End show: Seen Les Mis? Phantom of the Opera? Miss Saigon? The Lion King? Not like this, you haven’t! 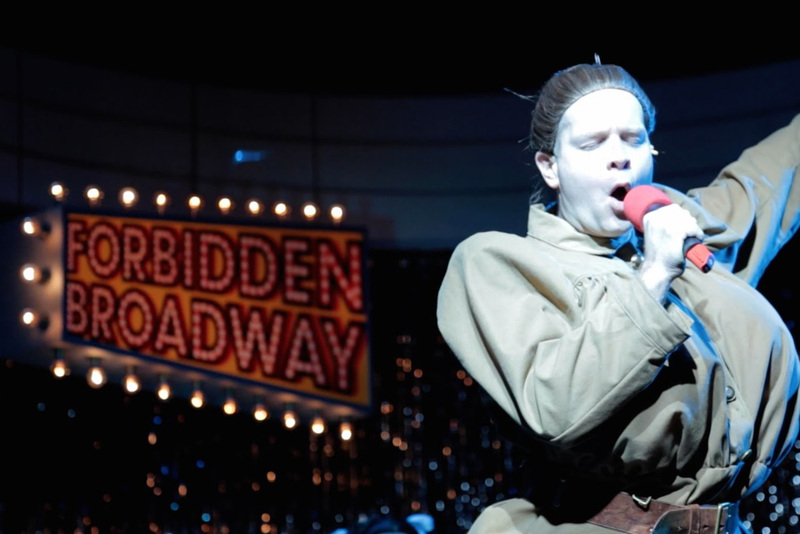 All hail to the creators, cast and producers of Forbidden Broadway: the show is kept bang up-to-date, taking the Mickey (mouse) out of Lion King, Once and Charlie and the Chocolate Factory just to mention a few of the 28 musicals! 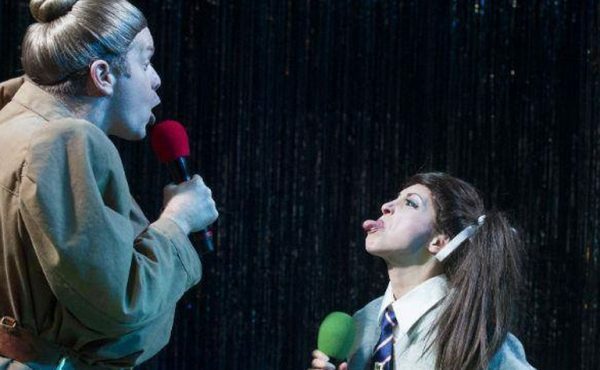 In case you didn’t know; Forbidden Broadway is the long-running satirical off-Broadway revue – which has been running in one guise or another, for over 30 years in New York now and was first premiered at the Menier Chocolate Factory, London in the summer as part of its 10th anniversary celebrations. Now it has become the latest in around a dozen West End transfers the theatre has made in the last decade, (The Colour Purple, Merrily we roll along etc.) 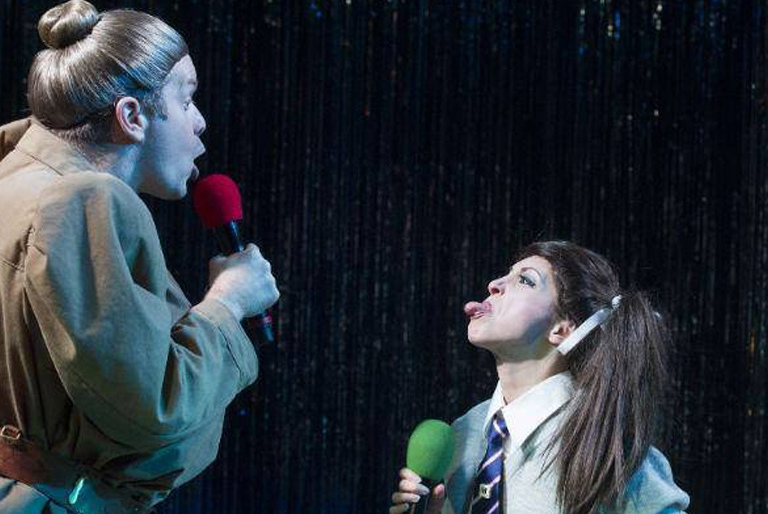 and this West end transfer gives Forbidden Broadway a decidedly different British aspect with send up’s of some of the West End’s latest openings like Dirty Rotten Scoundrels and Miss Saigon. The cast has also had a major change since the move to the Vaudeville Theatre, Sophie-Louise Dann has left – she has a role in Made in Dagenham that opens next door at The Adelphi Theatre and I am dying to see it! 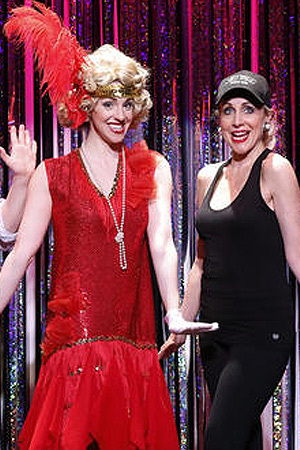 Sophie has been replaced by the knockout talents of Christina Bianco, best known for her youtube impression videos, appearances on shows such as Ellen and for being a Broadway member of Forbidden Broadway. Bianco is a brilliant impressionist and those skills have been highlighted here with break-outs for her vivid, ripe impressions of such personalities as Idina Menzel, Kristin Chenoweth and Bernadette Peters. 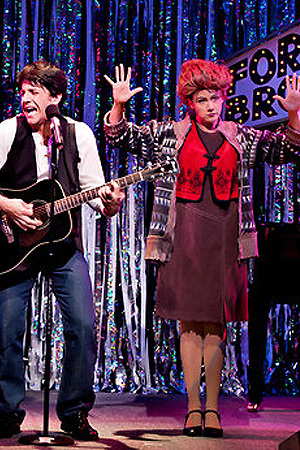 The Bernadette Peter’s song was hilarious and Bianco has her mannerisms down to a tee! 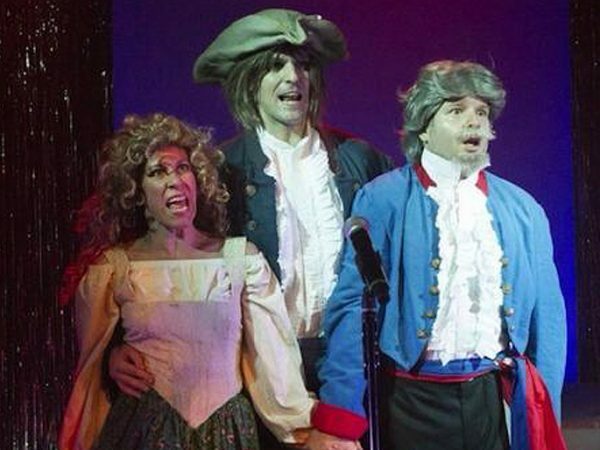 The other cast members include Anna-Jane Casey, Damian Humbley and Ben Lewis who were in the original production and every cast member works their socks off as before to provide one of the all-round most entertaining evenings on show in the West End at the moment. Not one of the cast stands out as they are all equally talented and provide a hilarious night out for all theatre lovers. What is unique about the show is rather than a full blown orchestra and massive cast this is a witty four-person show with two men, two women and piano accompaniment. The only thing is I am worried about seeing Once later on this week now! The show is at The Vaudeville Theatre until 22nd November and tickets can be purchased at the Box Office or online.